That stopped me in my tracks. To me, this reading/scrolling thing is the point. O dear, am I doing this all wrong? Should I make my point first, and expand on it afterwards? There is something to be said for that. After giving it some thought, I came to the conclusion that this is a great illustration of the difference between hunters and gatherers. A remnant from a time when we lived in caves and had to hunt for meat and gather berries to prevent starvation. Some people were better at one thing and some at the other. I consider myself totally and utterly a gatherer. 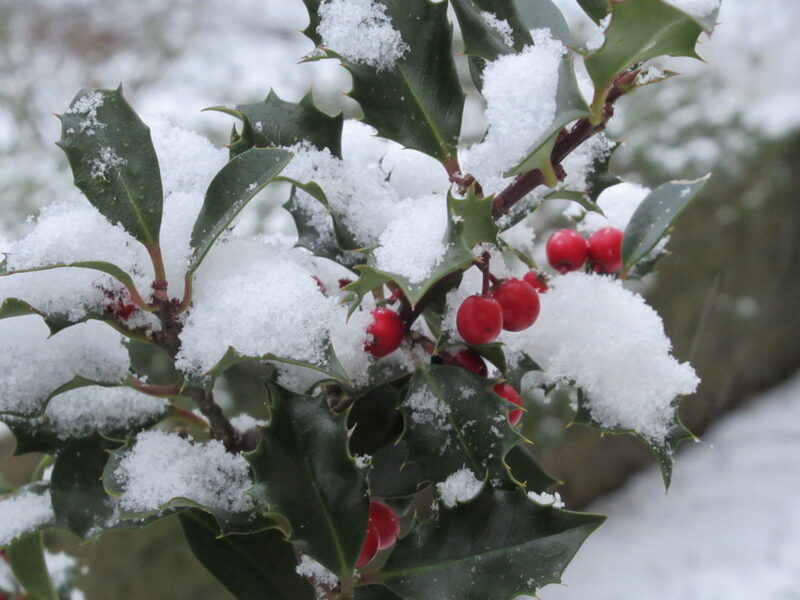 I often find lots of delicious berries (i.e. seemingly irrelevant but fun stuff) along the way and easily get distracted by them. And that is also the way I write my blog. But I do realize that not everybody is like that. So, if you are a hunter type, and prefer to get straight to the meaty details, please scroll down to a box entitled ‘Yarn Facts’, followed by ‘Conclusion’. If you are more of a gatherer, please read on. A long time ago, I became a member of Rowan International. For those of you who don’t know: Rowan is a Yorkshire-based yarn company especially famous for its tweed yarns and innovative designs. 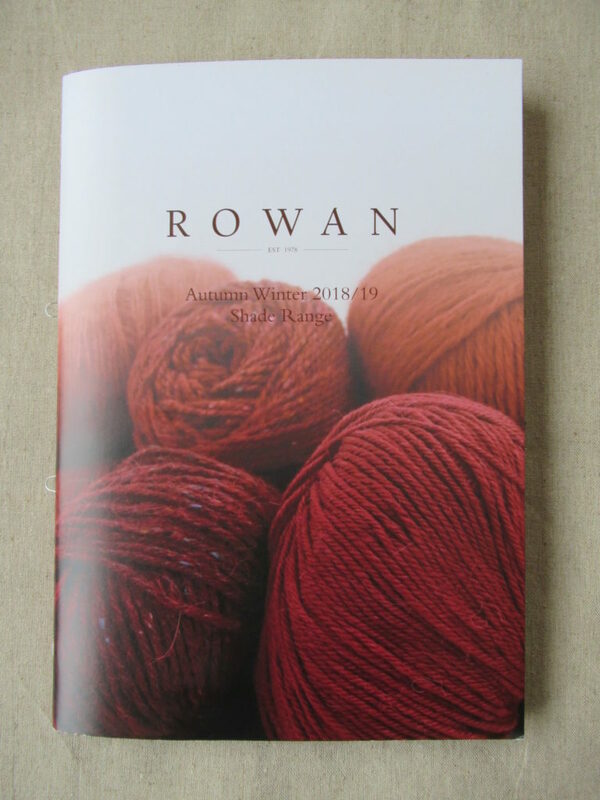 At the time Rowan International members received a beautiful, large-size magazine twice a year, packed with knitting and crochet patterns and some interesting background articles. Plus the new autumn/winter or spring/summer shade cards. 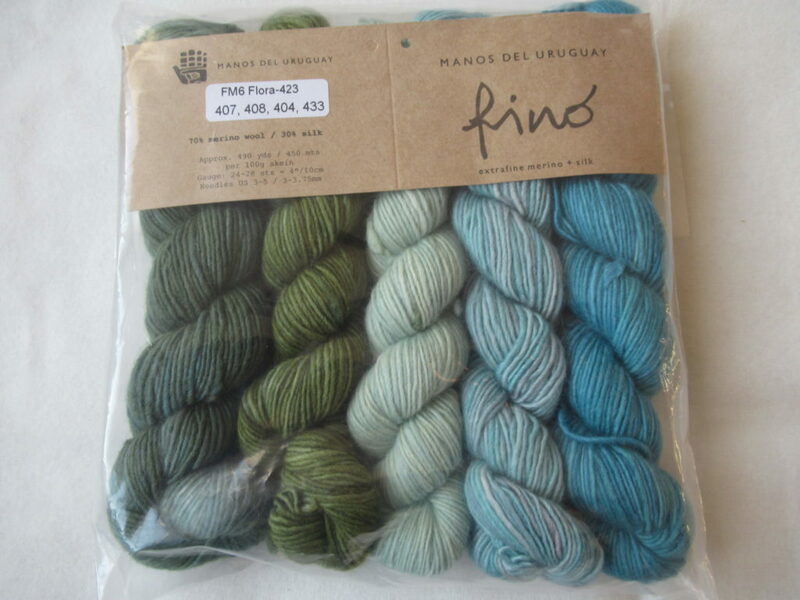 And a free gift of yarn with a pattern for a small project. After a while things began to change. The shade cards disappeared. We didn’t receive yarny gifts anymore. The company was taken over by a big international firm. The patterns were no longer all that exciting. The pattern sizes became tiny (in my country, I’m an average size person, but sometimes even the largest size was too small for me). And there were a lot of changes in the yarn lines. To make a long story short: I ended my subscription. But in recent years things have gradually changed again. The pattern sizes are back to normal. The patterns are more appealing. 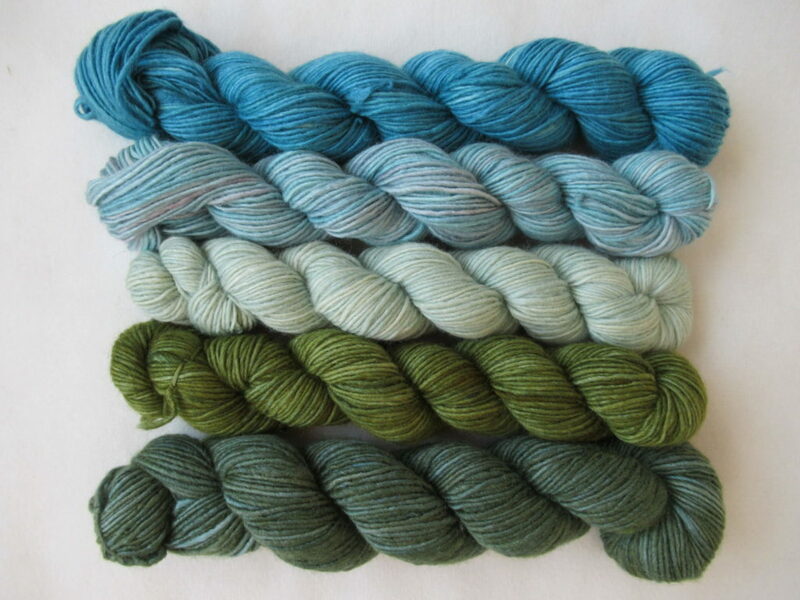 And there are some really exciting new yarns. 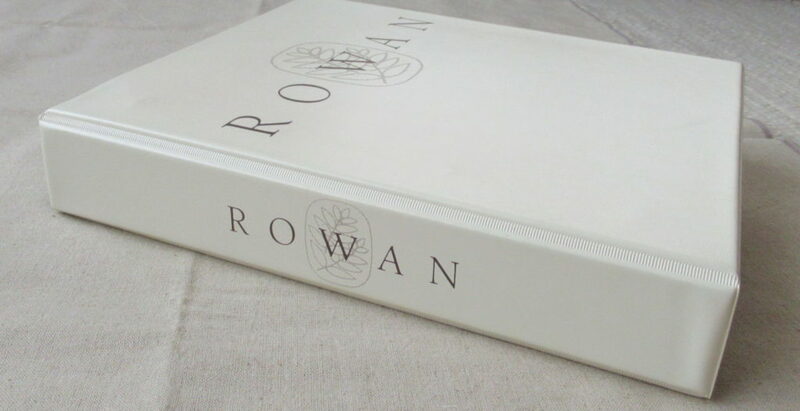 So, when I saw the new Rowan shade cards last autumn I decided to buy them. Maybe I’ll go into my love of shade cards some other time. For now, I’ll just say: All those beautiful colours! So many possibilities! So much to dream about! Just look at these two pages. Don’t all those gorgeous colours just make your heart sing? 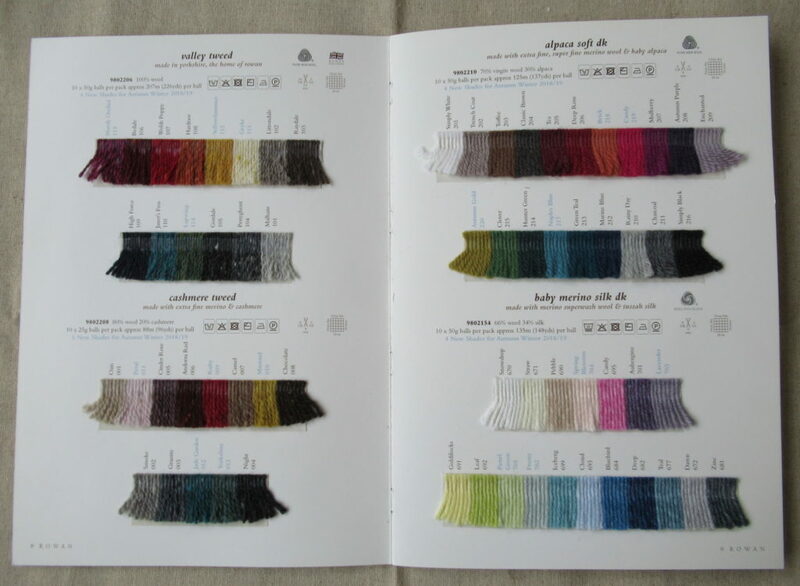 I looked at and felt the yarns and knew straight away that I had to try out some of them. One day in October last year, I was in Amsterdam. I was there for a different purpose and didn’t have much time, but I quickly popped into De Afstap, a small but well-stocked yarn shop specializing in Rowan. I had an interesting chat with the lady behind the counter and bought three balls of Cashmere Tweed, in a deep burgundy colour called ‘Andorra Red’ (shade 006). It has flecks of a brighter red, orange, black and grey. 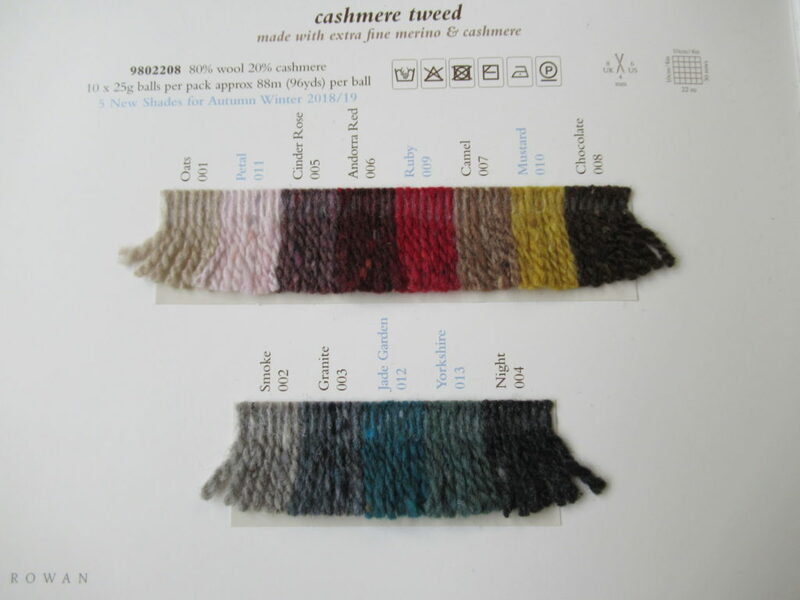 Cashmere Tweed is a mix of merino wool and cashmere. It consists of two plies of slightly irregularly spun yarn incorporating dots of wool in different colours for a tweedy effect. 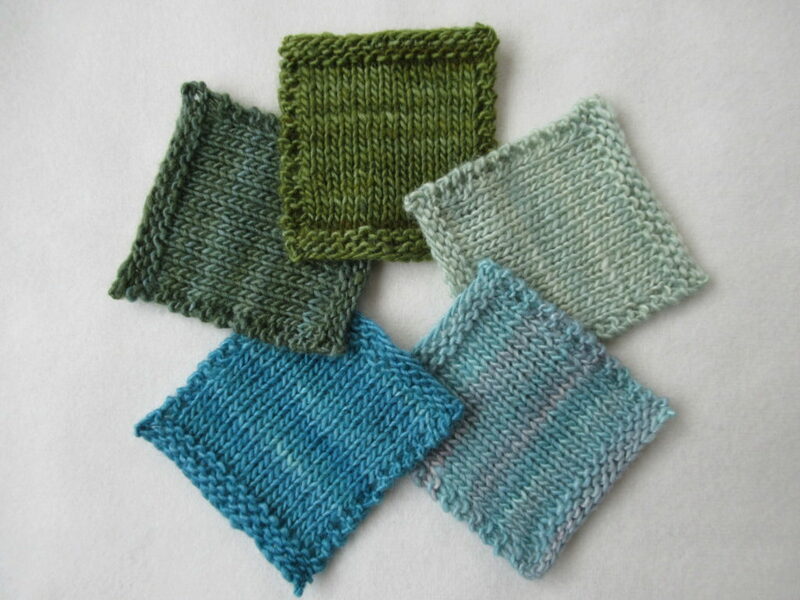 It is a dk-weight yarn that knits up to a lovely soft and filled-out (but not dense) fabric. Cashmere Tweed is available in 13 shades, including some natural browns and greys, a pale pink, several really bright colours and some muted and darker ones. 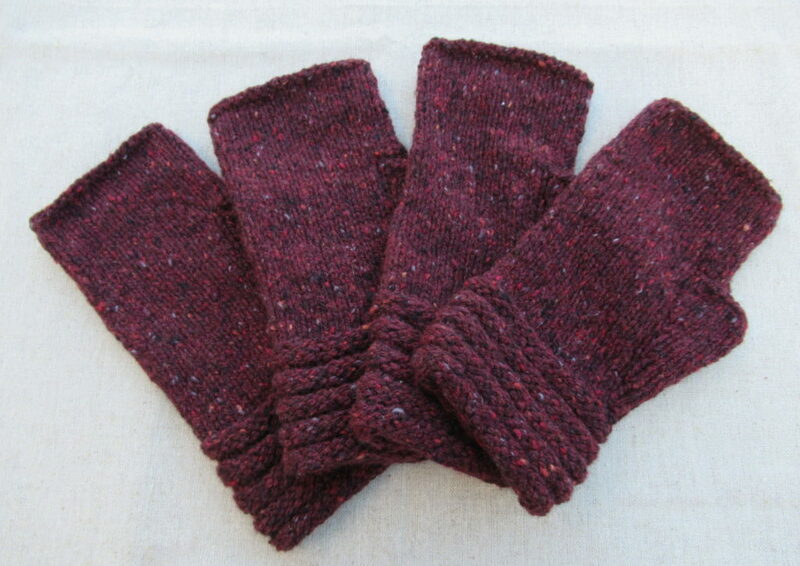 I bought the yarn especially to make the two pairs of Welted Fingerless Gloves I wrote about in a previous post. The yarn was a joy to knit with. It is very soft and woolly, without being itchy at all. There were no knots in any of the balls. I’ve read some complaints about the yarn breaking easily. 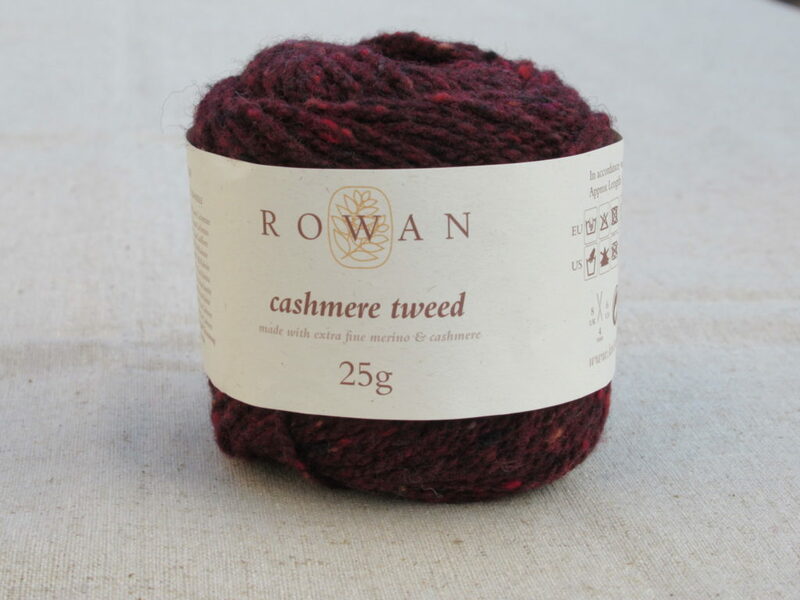 I agree that Cashmere Tweed is not a very strong yarn. It is easy to break the thread by hand. But I only had problems with the yarn breaking during knitting once. That was at the thumb hole, where I messed things up, had to unravel and re-knit a bit. 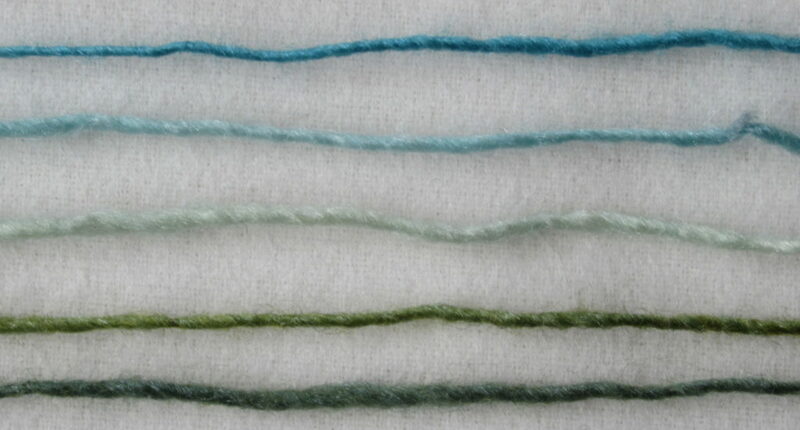 The yarn broke when I passed one stitch over the next with some tension on the thread. An awkward place. But, to be fair, I think that this was more due to my unravelling and handling of the yarn than to the yarn itself. 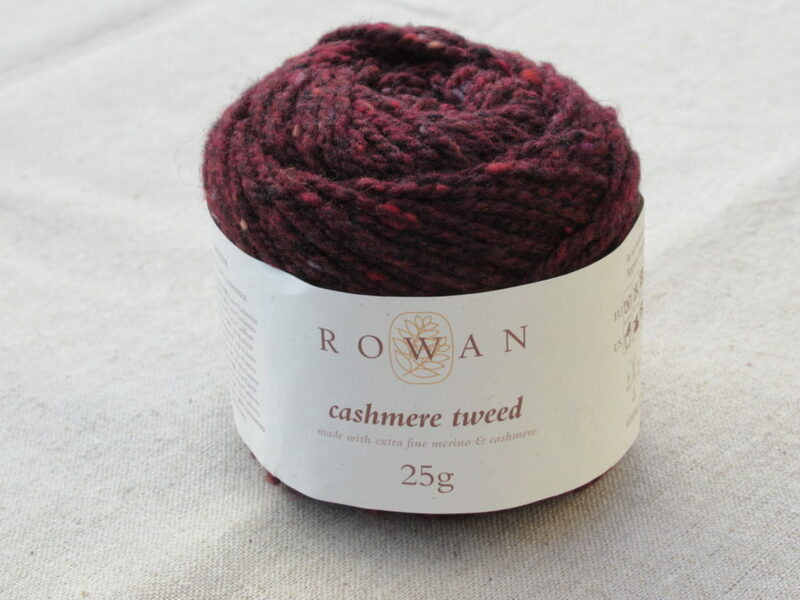 Rowan ‘Cashmere Tweed’ is a luxurious dk-weight yarn that gives a very soft fabric with a good ‘body’. It is easy to knit with, but may break after unravelling and under too much strain. Considering the price, I think it is especially suitable for accessories like shawls, scarves, cowls and hats. 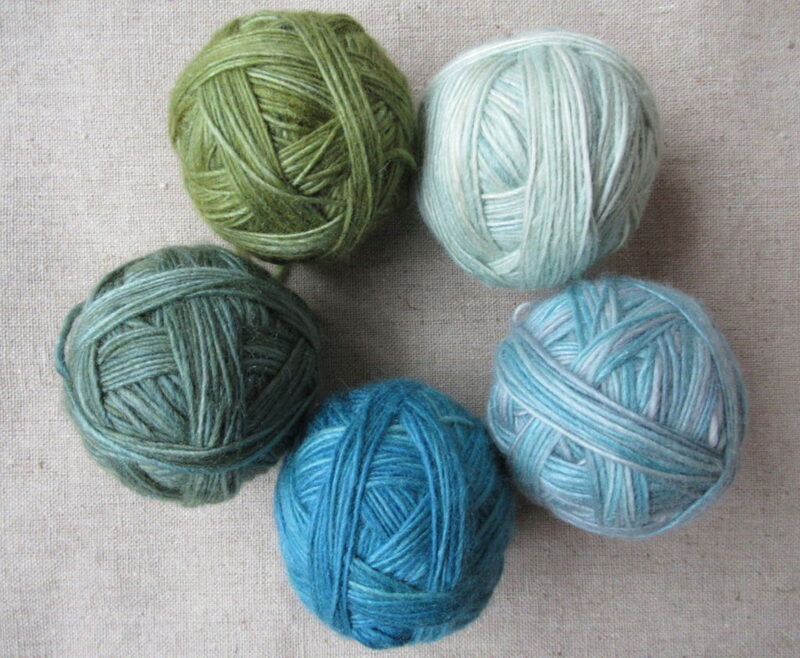 Just a few balls will make a lovely gift to a special person (or yourself). The lady at the counter of the yarn shop was none other than Carla Meijsen, who has just published her third book: Magic Motifs: Knitting with a Secret Message. I don’t have it, but I’ve taken a look at it. In one word: intriguing. This post is not sponsored in any way. 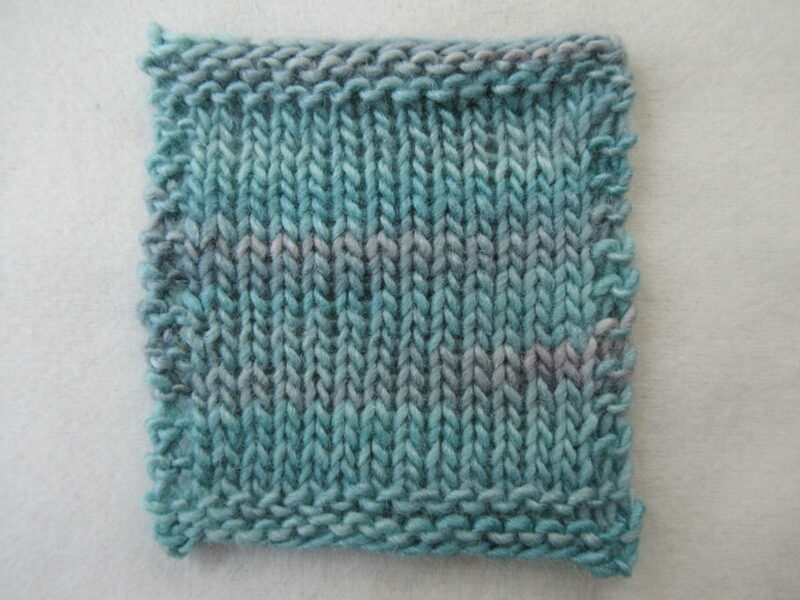 I’m interested in the knitting materials I use, and like sharing my experiences.